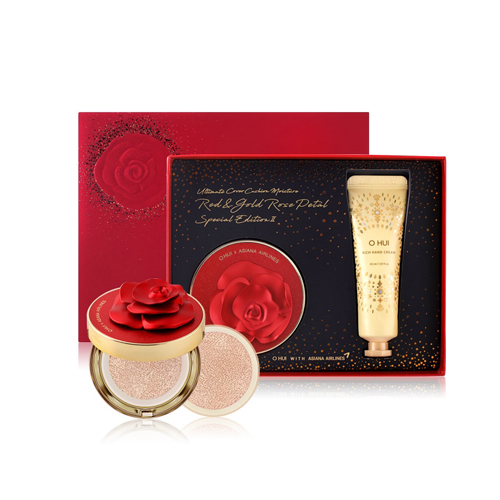 Rose Petal Design Edition II will remind you of fascinating red rose bloom. It conceals dull skin delicately and moisturizes your skin while making it look flawless. It turns the skin into shiny and healthy, and it gives long lasting bright and radiant skin. Cushion: Use the puff to gently apply from inner center of the face outwards. Hand cream: Take an appropriate amount, apply it gently to hands, and pat it gently to absorb.